I was looking for additional income after reaching retirement age and after loosing my husband to cancer. I had worked all my life side by side with my husband and I was at a loss of what to do next. While reading Meridian Magazine, I found Kyäni. 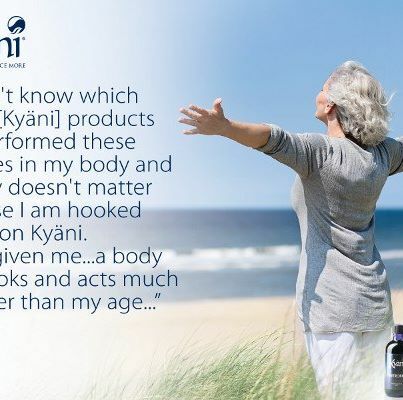 At the time, I did not know it would change my lifestyle with customers and distributors becoming dear friends but also that my monthly shipments of the Kyäni Health Triangle would actually change my health as well. I have always considered myself healthy. 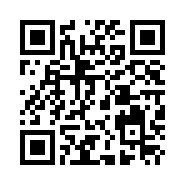 I was raised in Germany with a belief in holistic and alternative health treatments. I only gave in to Big Pharma drugs when absolutely necessary. I understood that most drugs would be an experiment in my body and if one drug didn't work, I wouldn’t get any money back and another prescription would come my way. I have seen this happen to my parents and brothers and sisters. Eventually, however, I developed high blood pressure, possibly due to the stress and worry over my husband’s illness. It could also be genetic; all my siblings and parents had high blood pressure and so after doctors’ warnings, I gave in to taking LOSARTAN 50MG every day. I was on this medicine for five years. It started with arthritis in my finger joints that prevented me from opening jars or prolonged typing. I was unable to sleep at night (which caused lack of energy and even depression as times, heart palpations and other signs--a vicious cycle). But I learned to live with it. After all, I was getting older and one can expect to start having health issues, right? Wrong! Kyäni showed me that age has nothing to do with it!!! At 63 years old, I feel better today! I have more energy. I sleep through the night and open jars without a thought of pain in my fingers. Best of all I am OFF my prescription medicine for high blood pressure and have been for six months. Perfect pressure. Perfect sleep. I have energy to enjoy my four year old grandson and I can keep working all the hours I need, knowing I will have a great nights rest. By the way, my daughter who suffered with severe migraines for over 15 years has not had one in over a year since taking Kyäni. I don't know which of the three products has performed these miracles in my body and it really doesn't matter because I am hooked for life on Kyäni. It has given me 100% satisfaction and a body that looks and acts much younger than my age. All I can say is THANK YOU Kyäni for changing my health and my life for the better!